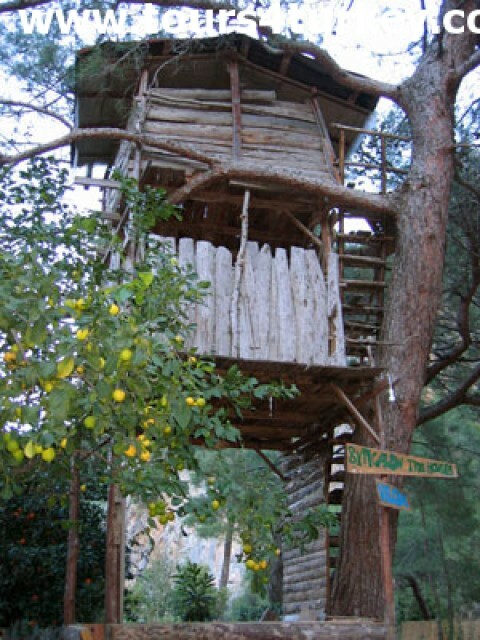 We will greet you upon arrival in Olympos and then you will check in to your Tree House room. Free Day to explore Olympos ancient city and town. Overnight stay at Tree House in Olympos. 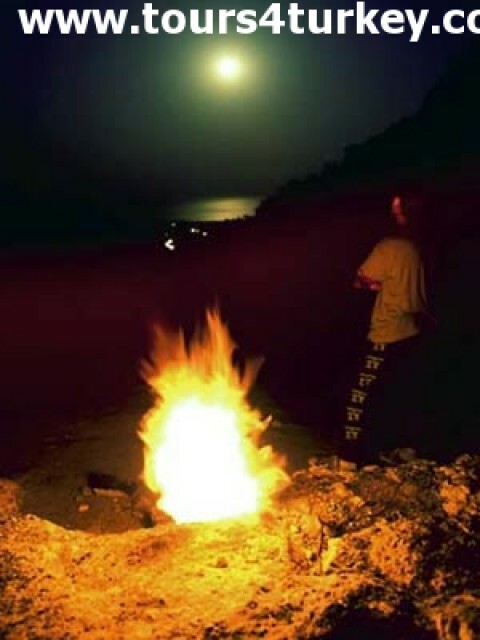 Leave Olympos in the morning or in the afternoon and spend four hours floating over to Ceniviz Bay where you will stop for swimming, snorkeling, hot tea and snacks. Paddle back to Olympos at around 5 pm. 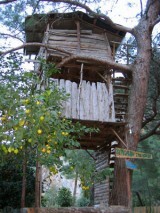 Overnight in Olympos Tree Houses. The day is yours. You don't have to wake up early, enjoy the sunshine and take in the views, the natural magnificent beach & crystal clear sea and explore the city, shop in the local markets, relax on the beach until dinner time. After the open buffet dinner we will depart for Chimera Mountain. Check out the amazing phenomenon of the natural gas flames known as the Chimera. This geothermal event has been burning for thousands of years. The content of this gas, which makes these flames re-ignite, is still a mystery. After Chimera Night Tour We will drive back to Tree House. 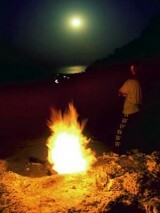 Overnight in Tree Houses in Olympos. Transfer from Olympos around 10 am to Demre for shopping & banking. A visit to the ancient city of Myra and St. Nicholas Church before boarding your yacht at Andriake harbour. Cruise to Pirates Cave for snorkeling, to Sunken City – sail over the ancient ruins of this World Heritage site, to Simena Castle - walk up to the top & witness a magical view over the Bay taking in the underwater Lycenian Tombs and across to the Sunken City. Gokkaya Bay for the night: it’s party time at the nearby Island disco where you can meet up with the other cruising travelers for a night of dancing under the stars, or simply relax, sit back and chill out on your yacht. Overnight on the Boat. Wake up with views of the beautiful Butterfly Valley. After breakfast there is time for sunbathing, swimming and an optional hike up to the waterfall. 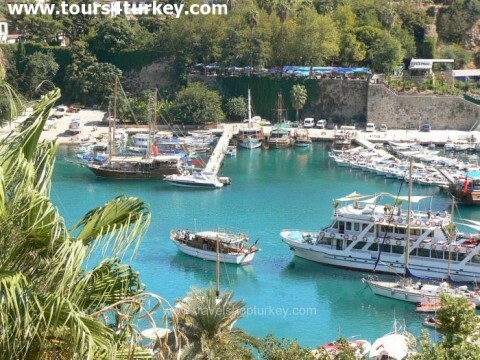 Oludeniz – Turkey's most stunning beach & one of the best spots in the world for paragliding. Swim to the beach and there is also the option to paraglide. Anchor at St. Nicholas Island for the night. Optional walk up through the Island’s ruins to witness the spectacular sunset. Breakfast at St. Nicholas Island. Cruise to Samanlik Bay for swimming & lunch, a visit of Tarzan’s Bay, arrive at Fethiye harbour around 14:00 p.m. Freetime at Fethiye until 21:00. At 21:00 pm take an overnight bus to Istanbul. We hope your Turkey Youth Tour was a memorable one and we would like to see you in the future in one of our tours again. 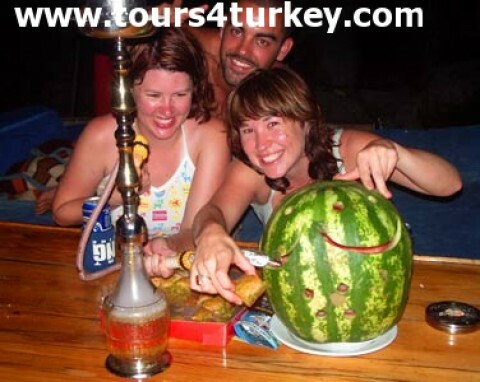 Have a nice trip back home and thanks for choosing Tours4Turkey Youth Tour.